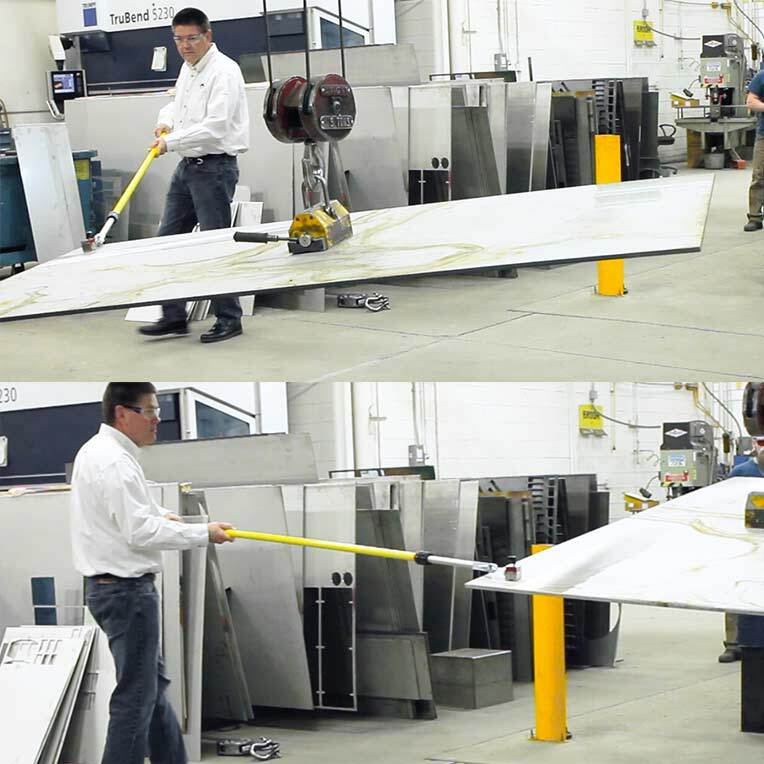 The Load Control Magnet (LCM) increases worker safety during steel lifting operations by allowing the user to guide the suspended load while remaining a safe distance away. The Load Control Magnet is a switchable, on/off, rare-earth permanent magnet featuring an articulating extension pole connector that is compatible with standard long-reach extension poles available from most hardware stores. It offers fast and easy setup by magnetically attaching to ferrous steel plates, pipes, parts and more with a simple turn of the switch. As a permanent magnet, the LCM does not require any batteries or external power source for operation allowing for ultimate freedom of movement and reliability while controlling suspended loads. 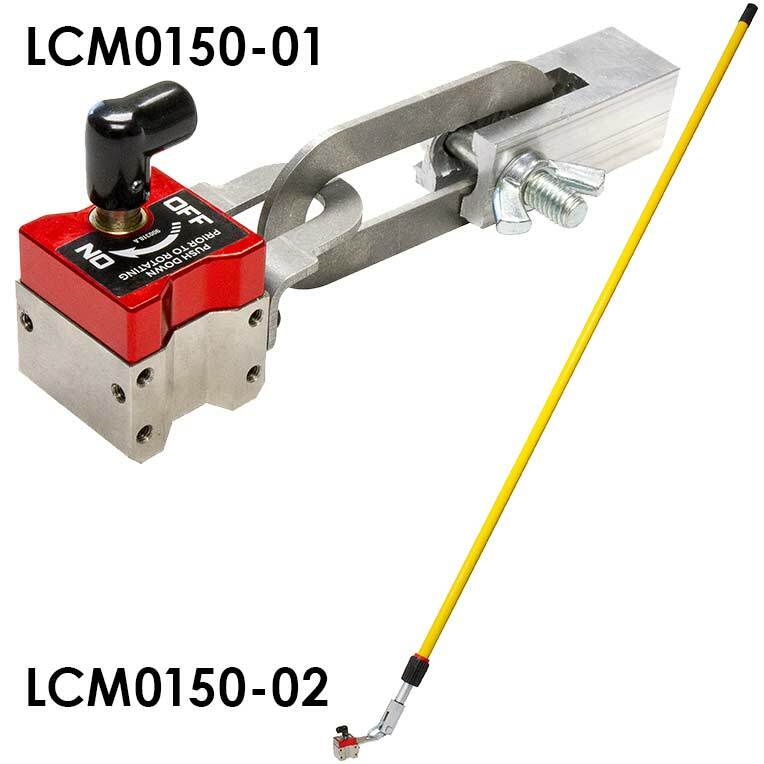 The Load Control Magnet is available for purchase as a single unit or in a magnet and lightweight telescoping pole combination that provides the user with versatile control and positioning of the load from 6 to 12 feet away. Note: Magnet connector accepts a standard paint roller extension handle.